After a very lengthy wait since Borderlands: The Pre-Sequel, the latest game in the franchise, Gearbox has had 2 big failures this generation. We all know the story of Aliens: Colonial Marines and it’s fake AI, and Battleborn, which was a shameless Overwatch clone. 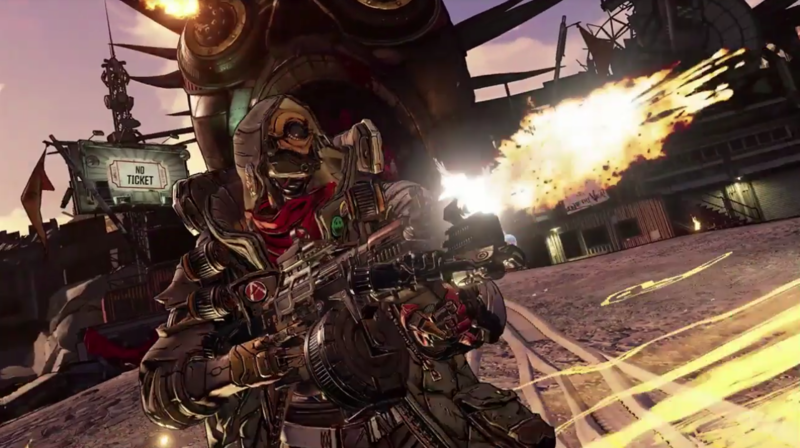 Borderlands 3 is do or die for Gearbox in order to succeed. Even though not much has been revealed yet, there is already speculation on the quality of this game. The only things that we currently know are the game will continue the formula presented in the earlier Borderlands game, instead of swapping over to the MMO-Lite genre shown in games like Destiny and The Division 2. The only statistic, aside from some basic in-engine footage, is the fact that there will be over 1 billion guns in this game. If they are counting different rarities, variations, and mods, this number might be a little smaller in reality. If they were all unique, this game would be groundbreaking. I have a slight hunch that Gearbox is bending the numbers in their favor, based on the advertising done with recent games. They have a lot of work they need to do to win my trust back. It should be noted that Anthony Burch, the writer for Borderlands 2, left the team prior to development. One of the things that made people love Borderlands was the writing in wacky humor. It would be hard to execute this with any other person. He might be returning to this title, as he was involved in the creation of Telltale Games’ Tales From The Borderlands. This was not a first-party Gearbox game, but it was a Borderlands title. I could see this one going either way. I am personally excited to see how Borderlands 3 turns out. If it is executed as planned, it will be an amazing game. On the other hand, Gearbox has been having troubles lately, and this could just be another one on the list. Either way, GameZap will be covering all of the Borderlands 3 news, along with all of the latest news in the gaming industry! Follow @gamezapsite on Twitter to see all of our thoughts and latest articles.